First time presenting at the University Undergraduate Research and Arts Forum (UURAF)? 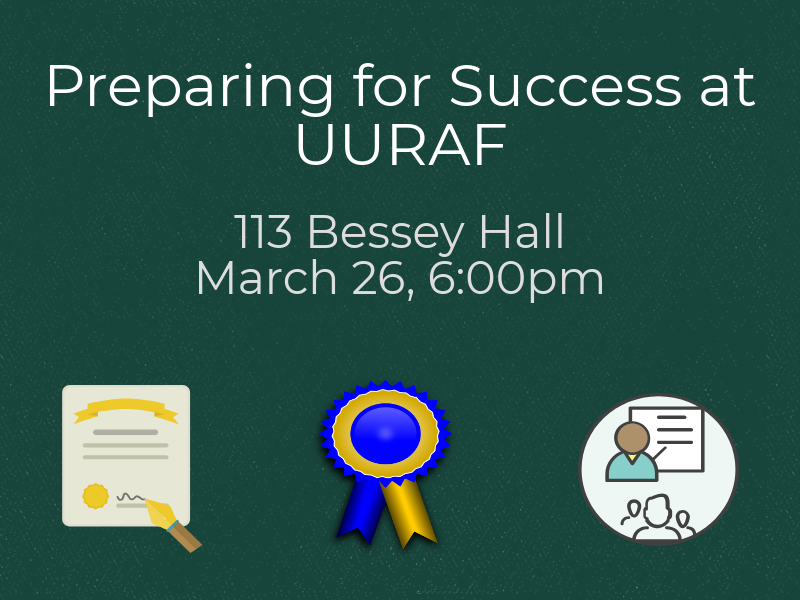 Let our panel of seasoned UURAF presenters help you make the most of your experience. You'll get lots of great tips for printing your poster, timing your presentation, what to wear, what time to arrive, and what kinds of questions to expect on the big day.